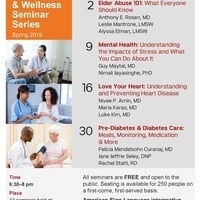 All seminars are FREEand open to the public. Seating is available for 250 people on a first-come, first-served basis. American Sign Language interpretive services will be provided at all seminars. If you require a disability-related accommodation, please call 212-821-0888 and leave a message.